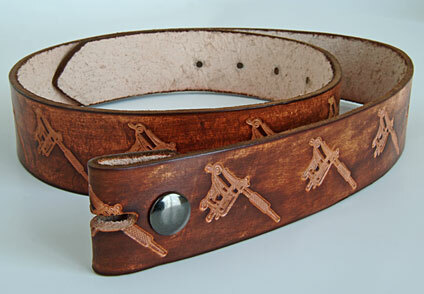 Hand made, one of a kind antiqued leather belt is tooled with the Lightweight Machine. Can be personalized on the back with up to 6 letters. Available in even sizes 30" to 44". Buckles sold separately. Sorry, 34" and 40" belts are out of stock.